Use this songbook to guide you through writer’s block and never be lost for words again. A great juicer for the imagination. 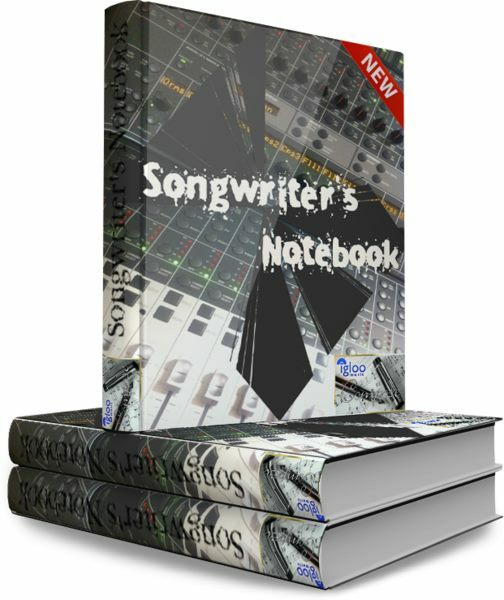 This eBook contains 10 step by step lyric writing lessons which makes it easy and accessible to start writing songs, or to get out of a funk of songwriters block. These easy to use songwriting lessons are great for use with young creative or adults new to songwriting. Use the steps to steer your writing, get ideas flowing and start to create lyrics and song ideas. You can also use it as a process to work together with someone – either a collaborative writing partner, or a producer in the studio – to give both of you a structure to follow. Create ideas, get your imagination flowing, use the chapters as stepping stones to creating your own creative process. Click here for shopping cart instructions.